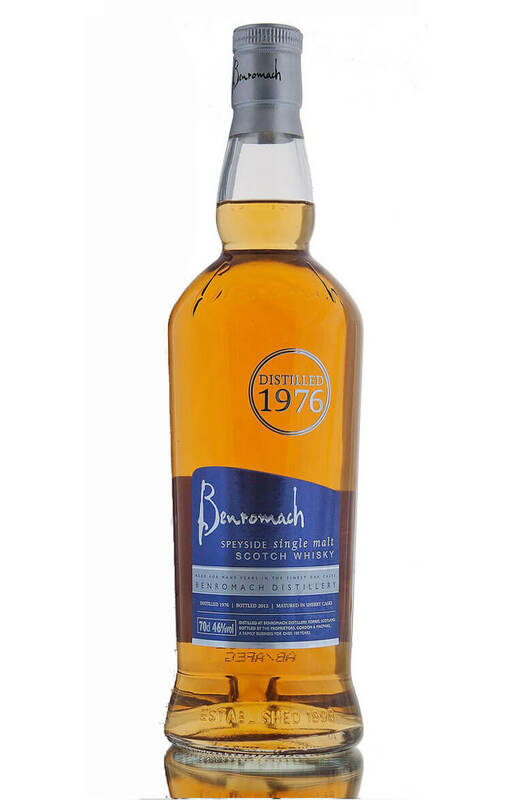 A fantastic Benromach from 1976. This has been matured in a combination of refill and first fill sherry casks. Nose Decadent crème brûlée with orange touches and rich fruit cake aromas… watch out for hints of kiwi and figs developing. Palate It’s delightfully peppery at first with orange zest and apricot flavours, followed by a creamy milk chocolate edge and subtle nuttiness. Colour First appreciate the dark gold colour of your dram. Types of Barrel used for Aging Refill and first fill sherry hogsheads.